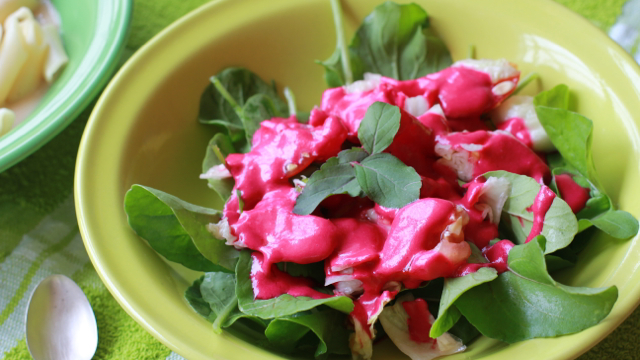 This is an amazing salad dressing inspired by Bhumi devi dasi! Quick and easy and such an amazing color! 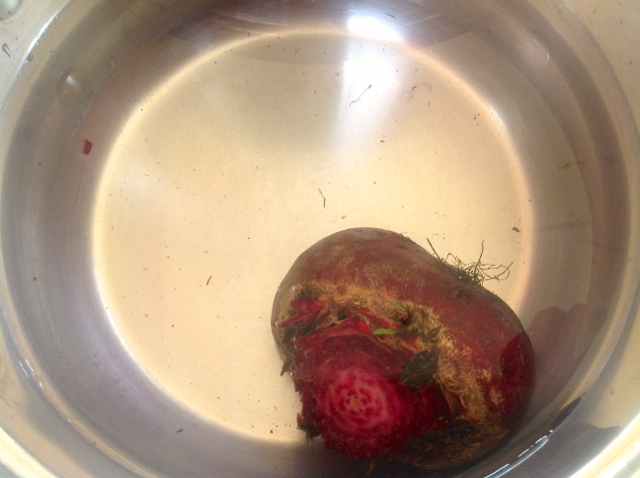 First you boil a whole beet until soft with the skin on. 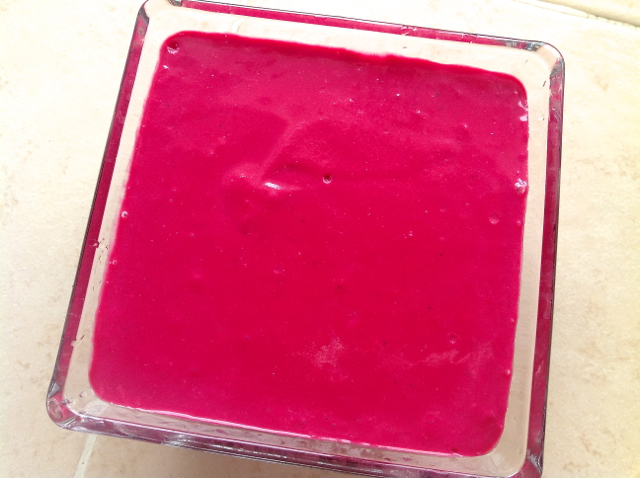 You will know when it is done when you stick a knife inside and it is all soft. 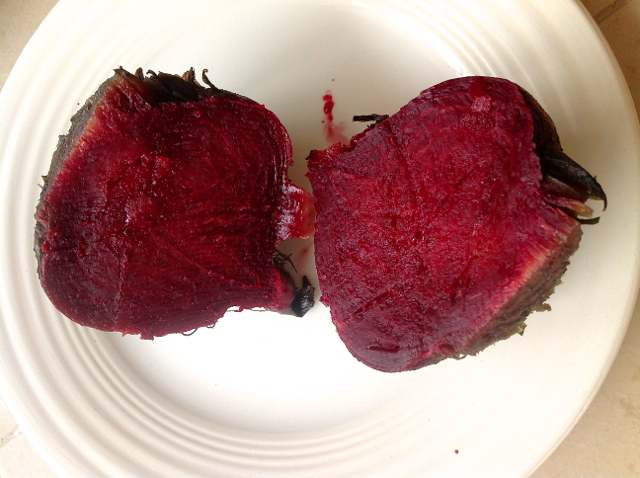 It took about 15 minutes on high flame with a lid for this beet to cook. Then set aside and let it cool. 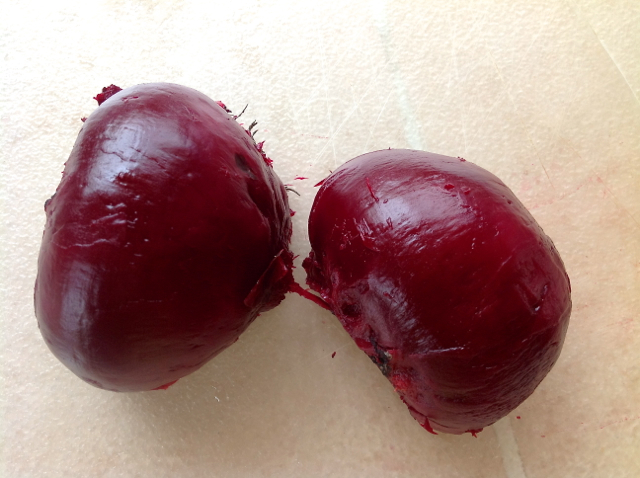 To speed up the cooling time, cut the beet in half or into fours. After it has cooled, take the skin off. You will see that the skin falls right off very easily. 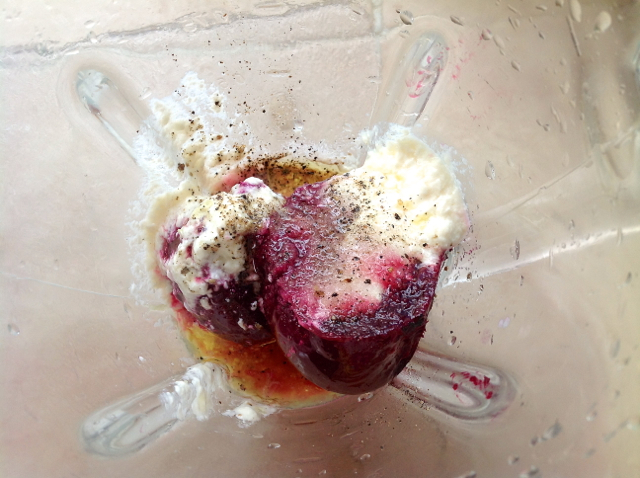 Along with the beet add all the remaining ingredients into a blender and blend until smooth. Here is what it should look like. Amazing color, right?! 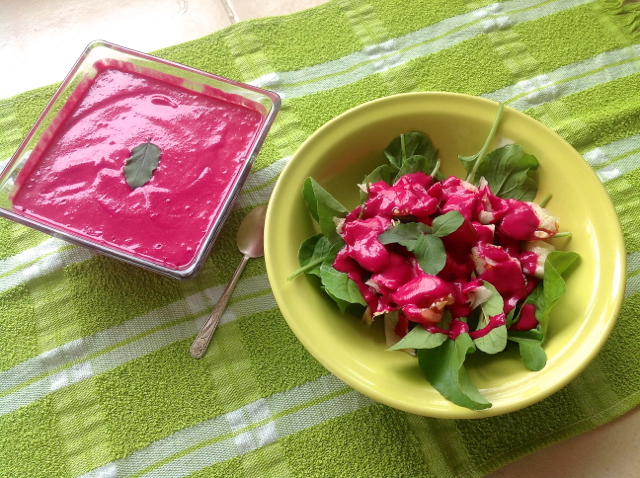 Now you are ready to serve over salad and offer to Kṛṣṇa with love and devotion!